Dr. Jessica Smiley-Hedrick has been a Family Chiropractor in the Blount and Monroe County region for a little more than 17 years. Born and raised locally Dr. Jessica attended Hiwassee College and proceeded to Life College of Chiropractic in Marietta, Georgia. In 1999 Dr. Jessica graduated from Sherman College of Straight Chiropractic and got married to a local resident of the Maryville area who shares the same passion for horses as she does. They are the proud parents of two children, ages 19 and 17, and the family resides in Monroe County. 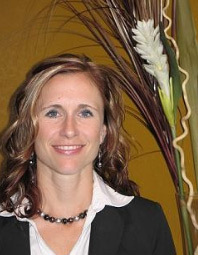 In 2002 Dr. Jessica opened her 1st Chiropractic practice in Madisonville, and in June of 2007 expanded her business to a much larger facility where a superior variety of wellness services can be provided. Dr. Jessica is an active member of several local and regional organizations and is grateful she is able to support the Monroe and surrounding counties with her knowledge and expertise. Dr. Jessica and Smiley Family Chiropractic &Wellness Center’s purpose is to give, love and serve this community by empowering, educating and coaching a wellness lifestyle. Multi-disciplinary practice offering a large variety of techniques to best serve each patient's needs. Knowledgeable and friendly clinic promoting total wellness for the entire family. The Mission of this office is to serve humanity by providing the best chiropractic healthcare services with love, enthusiasm, and clinical expertise. Education: Graduated from Sherman College of Straight Chiropractic in 1999.